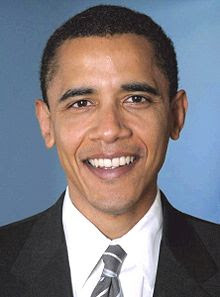 The Big Night at the 2008 Democratic Presidential Convention started with a speeck by Al Gore, and ended with a big bang with acceptance speech by 47 year old Barack Obama as the Democratic Presidential nominee at Invesco Field in Denver. Barack Obama spoke for nearly an hour to over 80,000 people anxious to hear his voice. A majority of the people who witnessed history in the making as Barack has now become the very first black Presidential nominee, showed tears of joy. The goal was to unify the Democratic party in a campaign to defeat the Republican Presumptive nominee for President, Senator John McCain. From a variety of polls, Barack's Convention has become effective in countering the efforts of John McCain, as the Republican party now has their job cut out for rebuttal of Barack Obama and Joe Biden on all the issues that Barack now claims he will address as President. At the same time, John McCain published a TV commercial congratulating Barack Obama and almost portrayed himself as a supporter in the ad. But looking more closely, McCain is just giving the respect to his competition on his big night, but vows to start his campaign tomorrow. As a sideline story that will become a major story sometime on Monday evening, is the approach of Tropical Storm Gustav, which is now located over Jamaica. Shortly, it is expected to turn into a catagory 1 hurricane by 2PM on Friday with 80 MPH winds, a category 2 hurricane by 2PM on Saturday with 100 MPH winds, and a category 3 hurricane by 2PM on Sunday. It should continue on its path to Reach New Orleans as a category 3 hurricane on Monday evening with 115 MPH winds. At this moment in time, the Governor of Louisiana and the Mayor of New Orleans are planning a total evacuation of the city and surrounding communities, especially along the coastal waters of the state. Another area that was hit pretty hard during hurricane Katrina 3 years ago is Casino alley near Biloxi Mississippi. Most certain to be substantial damage to occur during the Republic National Convention, it is expected that the Convention timetable will be disrupted as either McCain and/or President Bush will most likely travel to the gulf coast, in an attempt to not repeat the mistakes by the Republican Party 3 years ago during hurricane Katrina. It has been rumored that the Democratic Party nominee Barack Obama will also travel to New Orleans, in an attempt to take away from center stage, John McCain's efforts to make right what George Bush did wrong. Nineteen months ago, Barack Obama started his quest as president, but it culminated during the final event of the 2008 Democratic Convention with a strong speech by Barack Obama, one that many Republic politicians would never expect he could deliver, but at this time, during the most important speak of his life, Barack Obama came through for all of his supporters and the Democratic Party.